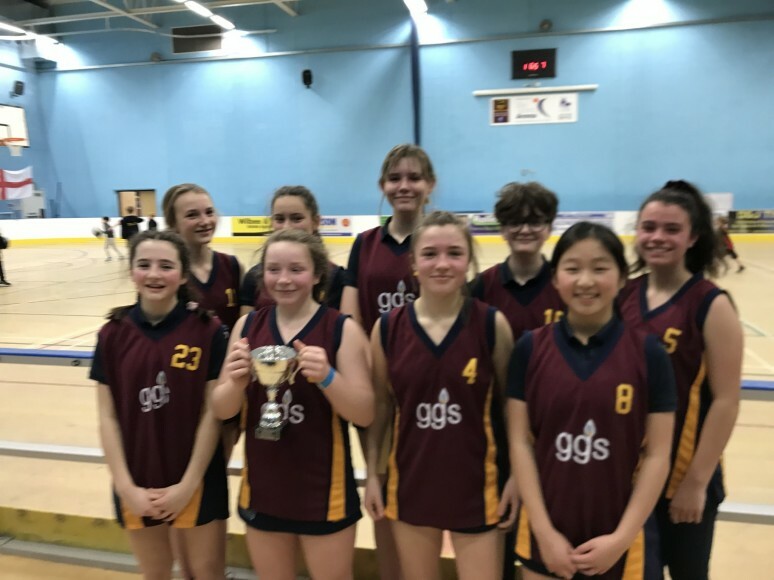 Having not lost a game of basketball in the district at both under 14 and under 16 level this season I was concerned that the girls would not be able to step up their game to play against what we thought would be an incredibly high standard of basketball meeting teams from Medway, Maidstone, West Kent, Dartford and many more. 18 teams were in attendance and we were placed in a section with 6 other teams. We won our first match 14 - 0 and I was able to sub most of the squad onto court to really settle the teams nerves. In the next four matches only 2 baskets were scored against us whilst we had scored 28 - 56 points in total! The morning finished with us winning our section and having to play the winners of another section - Rainham Mark School. With only 6 minutes on the clock the girls knew they had to hit the ground running - Rainham Mark were good - very good! After some very early sloppy passes the girls switched on and once again remained unbeaten. 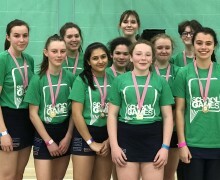 Only Maidstone Girls' Grammar School, who had won their section too, stood in the way of us being Kent Champions. Shot after shot was put up and neither team seemed to be able to score until Daisy Redford found herself in her favourite position - driving hard at basket unmarked. She sank the ball into the ring and the squad went crazy with excitement. With minutes to go, Maidstone were awarded two free shots as a player was fouled in the act of shooting. One of the shots was converted but thankfully this only resulted in one point and not two! Final score - 2-1 to Langton. We had won!!!! 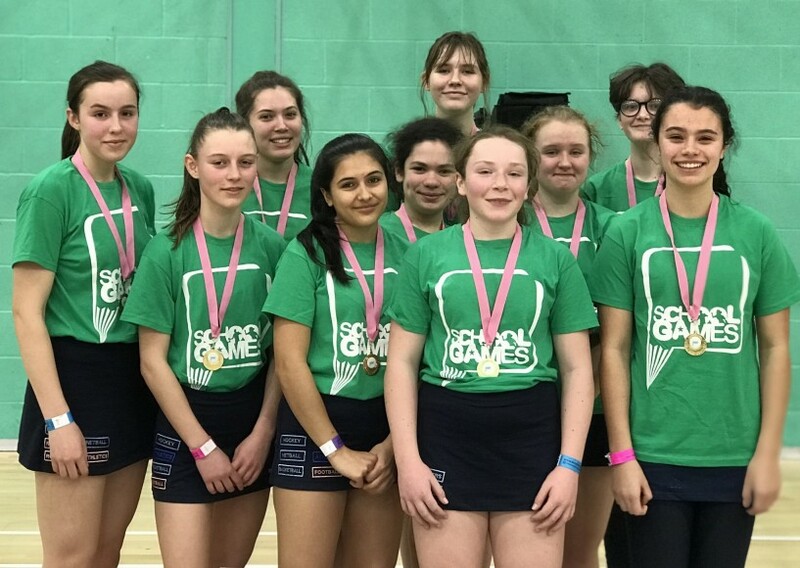 Simon Langton Grls' Grammar School are now County Champions and the shock on all our faces was unreal. 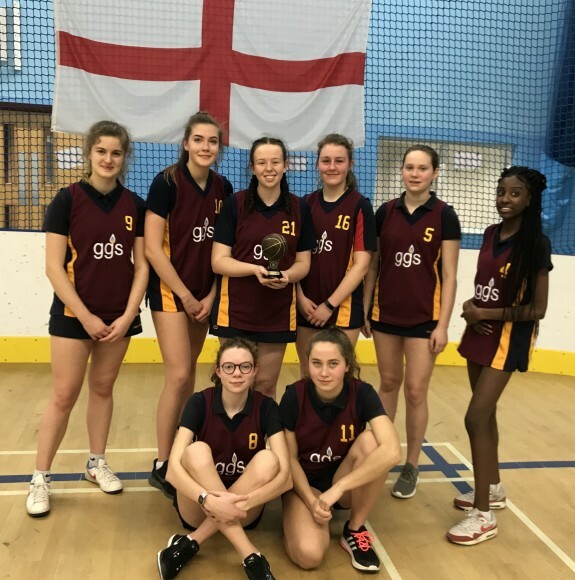 For the team that train in a 1950's style gym and only get to play on a proper size court when we play away fixtures, this really is a fantastic achievement and testament to what wonderfully talented girls they are. A special mention must go to Hannah Smith who defended unbelievably well frustrating the life out of the opposition and prevented a phenomenal amount of baskets being scored. She was simply amazing and so incredibly modest! Every single girl played her part today and I am unbelievably proud of them all!